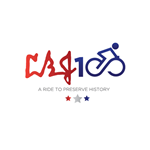 Join us for the 12th annual LBJ 100 Bicycle Tour. Starting and ending on the air strip of the historic LBJ Ranch (now the LBJ National Historical Park), the ride offers routes of 10, 30, 42, and 62 miles. There’s something for everyone! Our 36th President loved his ranch. He often conducted presidential business under the spreading oak trees, and he sought solace here from the rigors of the presidency. As President Johnson told visitors to his beloved Hill Country ranch, “All the world is welcome here!” We want riders in the LBJ 100 Bicycle Tour to feel the same warm welcome and sense of Presidential history as those who came before them.